[Episcopal News Service] Communion at 901 Courtney Road in Arbutus, Maryland, looks a bit different from Communion at most Episcopal congregations. Worshippers choose between wine and grape juice, with the option of drinking out of small individual cups instead of the common cup. The Churches of the Holy Apostles & St. Stephen benefited from a successful “Lutherpalian” model close by in Baltimore, where the Church of the Nativity and Holy Comforter has nurtured the two Christian traditions under one roof since 2015. 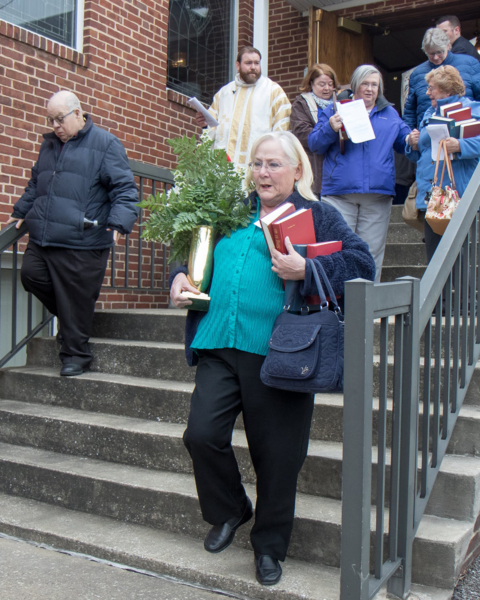 At Nativity and Holy Comforter, the two congregations took their partnership a step further and formerly merged into one, overcoming an array of logistical challenges. The Rev. 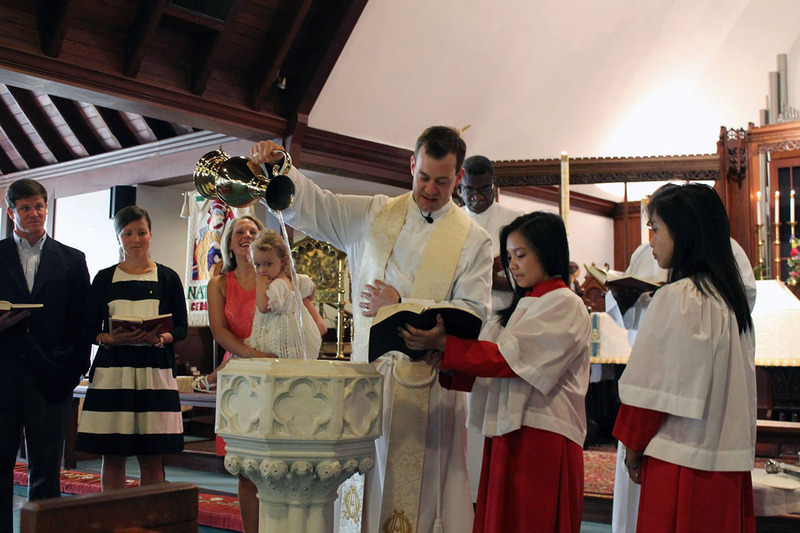 Stewart Lucas celebrates Holy Baptism at the Church of the Nativity and Holy Comforter in Baltimore. The Rev. Stewart Lucas, the Episcopal priest who leads Nativity and Holy Comforter, said his congregation decided early on that it didn’t want administrative duplication – the committees, the bank accounts, the insurance policies, the tax IDs – to hinder the congregation’s higher focus on mission and ministry. 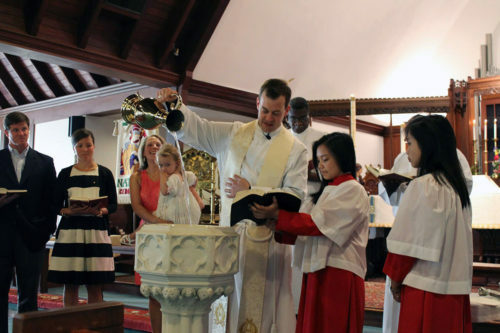 And the congregation chose not to split its Sunday Eucharist into distinctly Episcopal and Lutheran services. They preferred worshipping together. 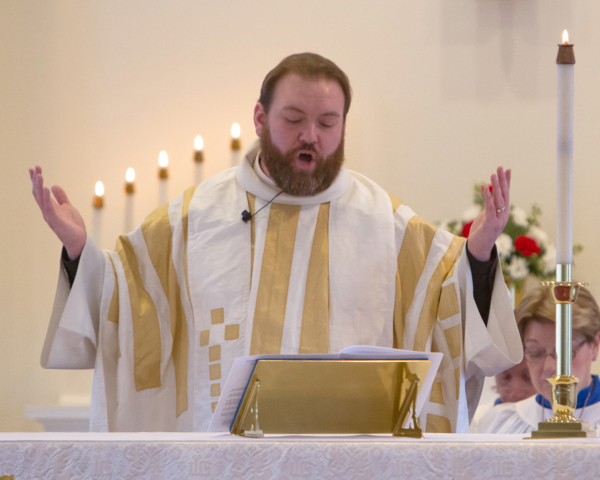 He now offers guidance to other congregations considering similar partnerships, and he advised Perra on the process at Holy Apostles & St. Stephen. “We’re kind of cheerleaders for them because we think the church is about people and not the buildings,” Lucas said. 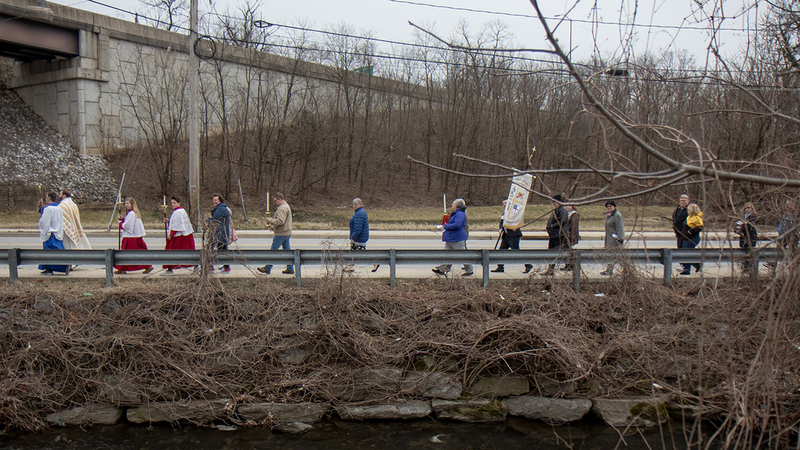 That 2001 full communion agreement between The Episcopal Church and the ECLA, which allowed Episcopal clergy to preside at Lutheran services and Lutheran clergy at Episcopal services, acknowledged the theological common ground between two denominations and their shared Christian roots. 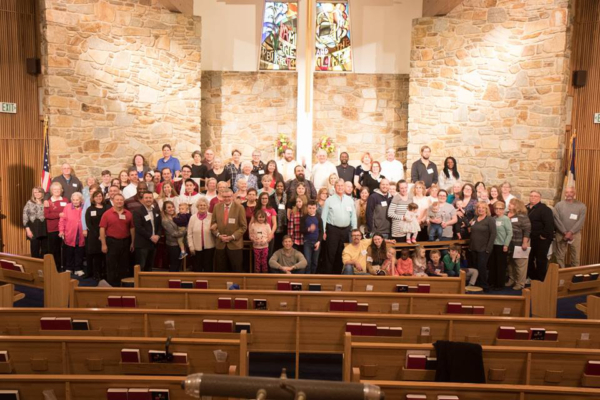 It also opened the door for Episcopal and Lutheran congregations to pursue blended worshipping communities. “This is not something I’d ever thought I’d be party to,” Perra said, but he sees a newfound energy in his combined worshipping community as it commits itself to thriving, not just surviving.